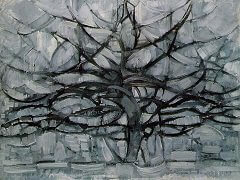 For more than a decade after graduating from art school in 1897, Piet Mondrian created naturalistic drawings and paintings that reflect a succession of stylistic influences including academic realism, Dutch Impressionism, and Symbolism. 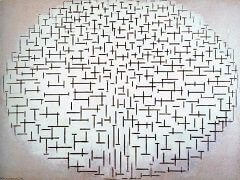 During this period and intermittently until the mid-1920s Mondrian created more than a hundred pictures of flowers. 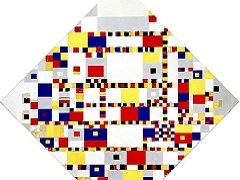 Reflecting years later on his attraction to the subject, he wrote, "I enjoyed painting flowers, not bouquets, but a single flower at a time, in order that I might better express its plastic structure.For more than a decade after graduating from art school in 1897, Piet Mondrian created naturalistic drawings and paintings that reflect a succession of stylistic influences including academic realism, Dutch Impressionism , and Symbolism. 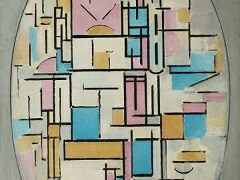 During this period and intermittently until the mid-1920s Mondrian created more than a hundred pictures of flowers. Reflecting years later on his attraction to the subject, he wrote, "I enjoyed painting flowers, not bouquets, but a single flower at a time, in order that I might better express its plastic structure." 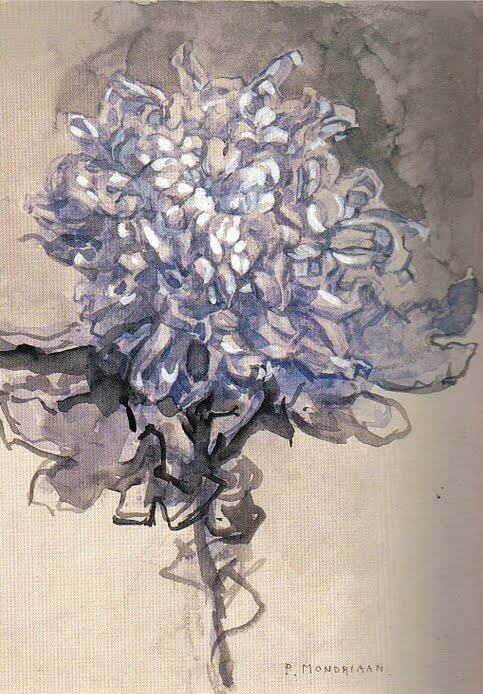 The heavy crooked line of Chrysanthemum suggests Mondrian's debt to Post-Impressionism, specifically the works of Vincent van Gogh. 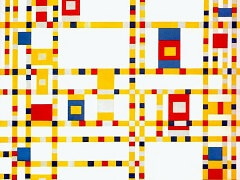 In 1909 Mondrian became interested in theosophy, a type of philosophical mysticism that seeks to disclose the concealed essences of reality. "I too find flowers beautiful in their exterior beauty," he wrote a few years later, "yet there is hidden within a deeper beauty." 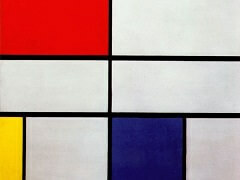 Mondrian was inspired by Paul Cézanne's method of breaking down compositional elements into facets of color. 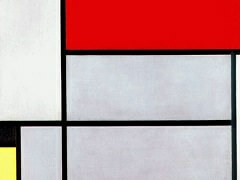 In Still Life with Gingerpot II Mondrian began to employ such avant-garde techniques as passage (brushwork that continues beyond the designated edges of objects) and a generally looser handling of paint. 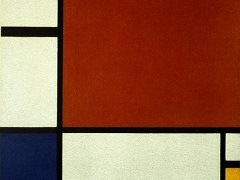 Although muted, the palette of Still Life with Gingerpot repeats the buoyant blues and roses of Mondrian's earlier works, as well as their more naturalistic style of representation, exemplified by the retention of traditional perspective and the coherent integrity of the components of the still life such as the glass and saucepan.